See The Peterchurch Figure Eight for Weobley Version 2. See Loxley Figure Eight for another Figure Eight dance. 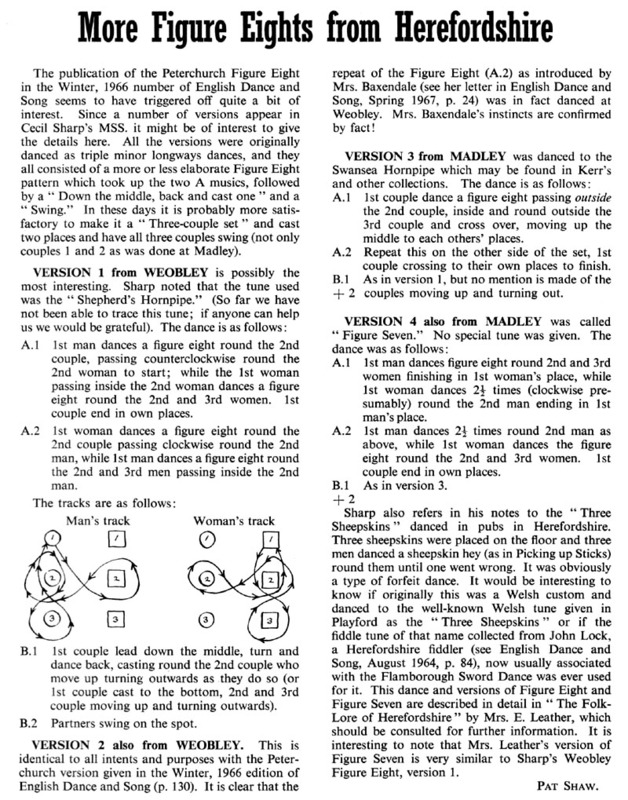 I suspect that, in Figure Seven, Man #2 can have a lot of fun interacting with the person dancing around him!